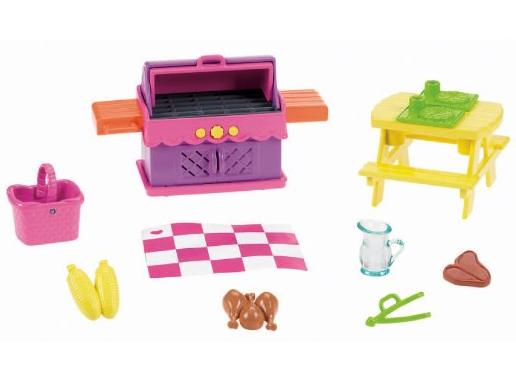 Dora And Me Dollhouse Backyard BBQ Playset For Only $3.98! 75% Off! You are here: Home / Great Deals / Amazon Deals / Dora And Me Dollhouse Backyard BBQ Playset For Only $3.98! 75% Off! This is an amazing deal for this adorable Dora the Explorer playset! Get the Dora And Me Dollhouse Backyard BBQ Playset For Only $3.98! That’s 75% off the regular price of $15.99!